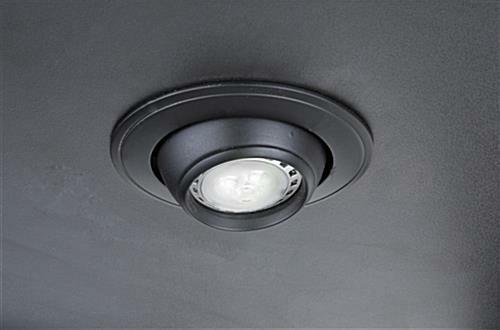 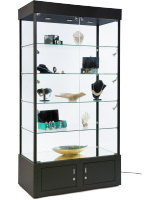 These illuminated black trophy cabinets are great for retail stores where they can feature merchandise with bright LED lights. 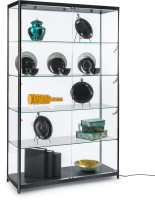 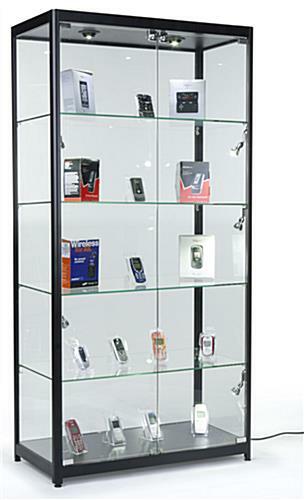 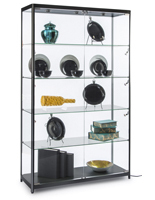 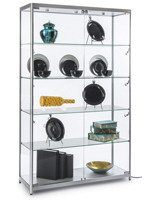 This type of display case is made with tempered glass to create a full-view showcase for easily seeing wares. 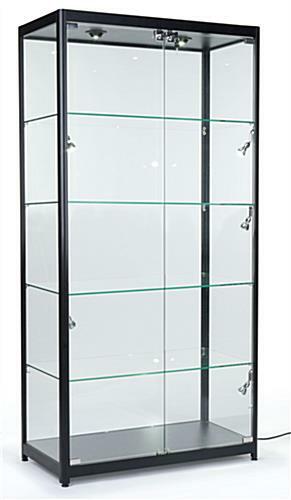 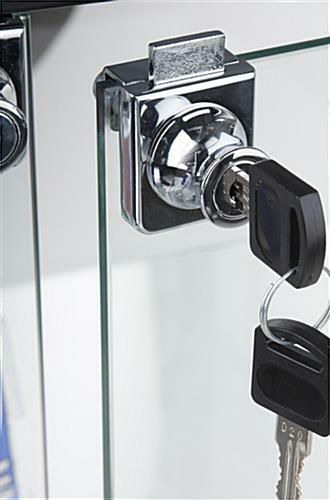 While the black trophy cabinets have a see-through design, their swinging doors can lock to protect valuables from theft. 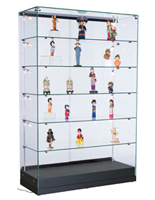 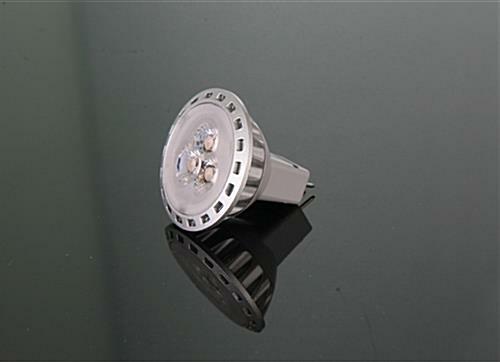 The display cases feature eight energy efficient lights, two on top and six on the sides. 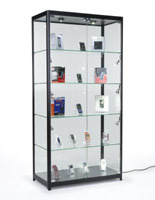 In addition, the glass trophy cabinets come with a 92" long cord and power switch. 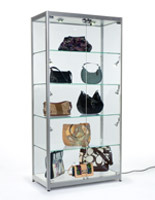 To accommodate any retail outlet, the locking stands have adjustable floor levelers.